In this month’s issue of Gentlemen’s Quarterly, GQ teamed up with Bombay Sapphire to feature the nation’s most inspired bartender search. 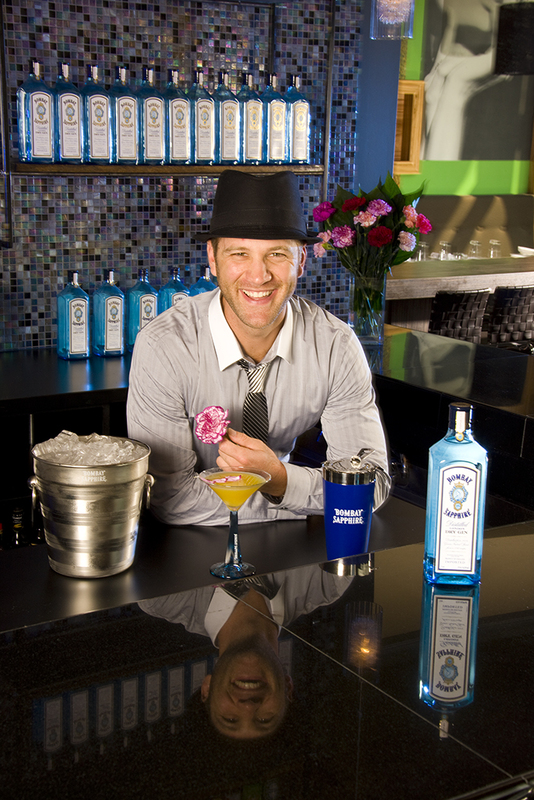 Among the 41 bartenders is Zak Renzetti-Voit of Black Olive restaurant, located in the Columbus Short North district. The magazine insert, printed in blue of course, contains each bartender’s unique recipe and the source of their inspiration. Zak’s mission was to change people’s perception of gin by showcasing the spirit’s versatility, as well as showcase local Ohio produce. During a three-day, end-of-summer event, hosted by the U.S. Bartender’s Guild, a team of master mixologists sampled each of the 41 gin based concoctions. From a rooftop lounge, with the lights of Las Vegas sparkling in the evening air, Zak raised his glass to the pawpaw. 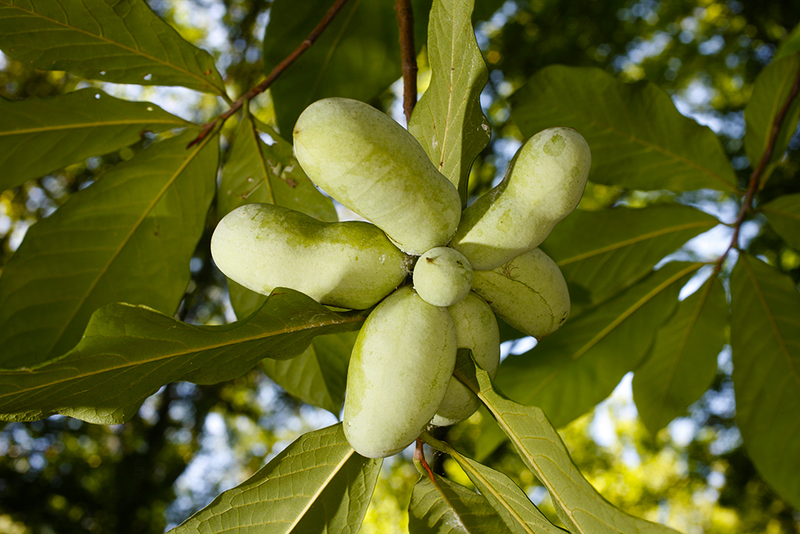 With a texture comparable to an avocado and a flavor that’s reminiscent of banana and mango, the pawpaw is the largest native tree fruit in North America. This past September also marked the 11th year for the Ohio Pawpaw Festival. Held at scenic Lake Snowden in Ohio, the celebration featured foods and beer made from this nutritious fruit. The Ohio Pawpaw Growers Association served up a small collection of recipes that included pawpaw cookies, ice cream, pasta salad and a chicken Paw-B-Que sandwich. Since attending his first pawpaw festival some years ago, State Senator Jimmy Stewart had been lobbing for state recognition for the fruit. Stewart believed it held potential both in terms of tourism and agricultural revenues. According to organizers of the annual Ohio Pawpaw Festival, some of the largest and best tasting wild pawpaw patches on the planet can be found in southern Ohio. Earlier this year, Gov. Ted Strickland signed a bill raising this obscure fruit to its new status as the native state fruit of Ohio. George Washington would have been proud, as chilled pawpaw is reported to have been his favorite dessert. Chris Chmiel, one of the founders of the Ohio Pawpaw Festival, said the fruit’s new status could become a marketing strategy for pawpaw growers. In an interview with Ohio University News writer Meghan McNamara, Chmiel said they are trying to educate people about the fruit. Around Athens, OH, pawpaws typically sell for $5 to $10 a pound, depending on size and quality. However, in order to introduce the pawpaw into the mainstream market, there needs to be improvements in the preserving and shipping of this delicate fruit. Until then, you might want to try your hand at recreating Zak’s libation. The following is Zak’s recipe for his BOMBAY SAPP-HIO. Shake 3 parts Bombay Sapphire Gin, 1 part Cointreau Orange Liqueur, ¾ part ginger and carnation-petal-infused simple syrup*, 4 parts pawpaw juice and a squeeze of fresh lemon with ice. Strain into a chilled martini cocktail glass and garnish with a frozen ginger-marinated carnation pedal. *Make the simple syrup with 1 cup granulated sugar cane, 3 cups boiling water, 3 cups diced ginger root and 2 cups carnation petals.